Venture Snowboards in Silverton will reopen for the 2016-17 season after closing a year ago. The company was founded in 1999. Venture Snowboards is ready to ride for the 2016-17 season. The popular snowboard company based in Silverton shut down operations during the 2015-16 season, but it promised it wouldn’t be goodbye. Wednesday afternoon, Lisa Branner, who founded the company along with Klemens Branner, announced on Facebook the company is ready to reopen after the one-year hiatus. “Seventeen years and counting, we are back and more dedicated than ever to the pursuit of the ultimate ride,” Klemens Branner said in a news release. 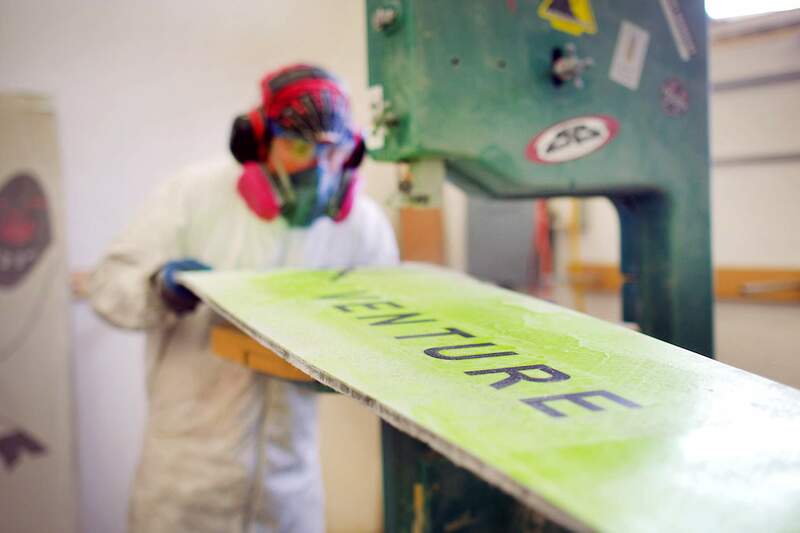 Founded in 1999, Venture Snowboards grew wildly popular in the region and beyond. With innovative designs such as the signature Euphoria powder board, Venture became one of the leading brands for backcountry enthusiasts. Wednesday’s announcement came less than a year after Venture closed its doors Sept. 3, 2015. “Venture Snowboards has encountered some challenging terrain in recent months,” the Branners announced that day. “Circumstances beyond our control have forced us to make a tough decision. We will not be delivering any boards to market for the 2015-16 winter season. A fresh line of handcrafted boards will once again be available from venturesnowboards.com later this fall. Among some of the new designs are boards built specifically for women. “While we’re known for our freeride decks and splitboards, these new models are intended to have a broader appeal and are the direct result of rider feedback,” Klemens said in the release.